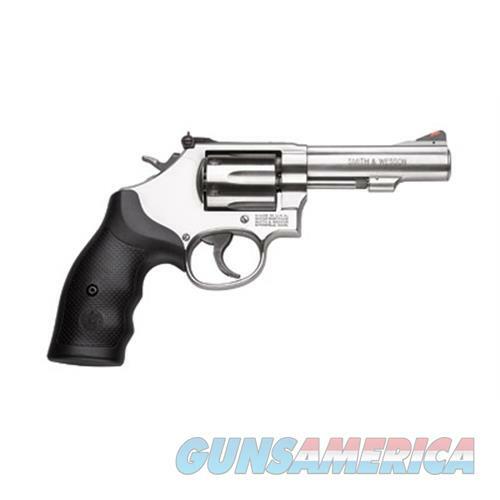 Description: Action: SA/DA - Caliber: .38 S&W Special +P - Capacity: 8 - Finish: Stainless - Material: Steel - Grips: Black Synthetic - Sights: Red Ramp / Adjustable - Barrel Length: 4 - Overall Length: 8.88 - Weight: 36 oz - The K-Frame revolver is one of the most important innovations in Smith & Wesson history and was built specifically to handle the .38 S&W Special cartridge. Since its introduction in 1899 the K-Frame has been a favorite for military and police professionals as well as target shooters and enthusiasts. Today's K-Frame is available in .22 LR and .38 S&W Special.